We've partnered with #CCWEurope sponsor Content Guru to bring you this content piece. In a world of continually changing demands and constant exposure to social media outlets, the ability to meet customer expectations is becoming increasingly important for organisations. 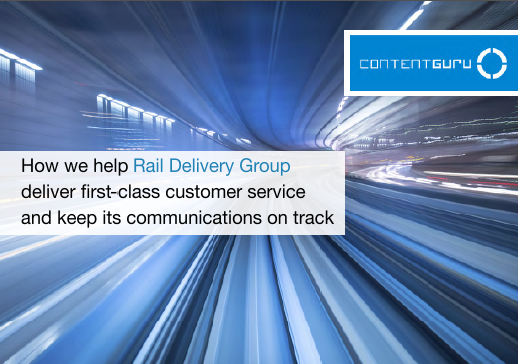 RDG looked to Content Guru’s multi-award-winning cloud contact centre platform, storm®, to implement a three-phase optimization plan, addressing the immediate challenge of scaling to meet ever-growing demand, while introducing seamless omni-channel features to support evolving passenger expectations. Download this case study to learn more about how cloud technologies address the various challenges that come with providing excellent customer service for today’s customers.